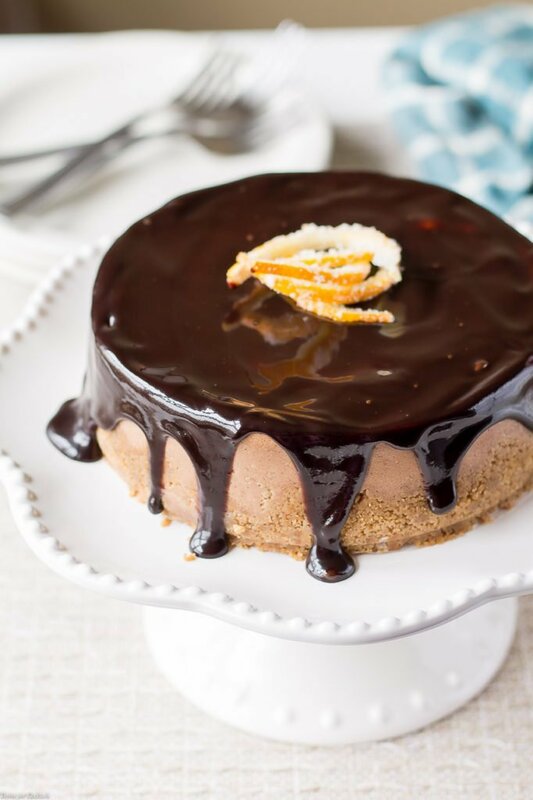 If you want to be the star of the holiday dessert scene then you need to whip up this Spicy Chocolate Orange Cheesecake recipe with distinct notes of cinnamon, spice, and orange. I am the first person to admit baking is just not my thing. Most of the time the very idea of making a holiday dessert makes me break out in hives. I can manage a decent pan of homemade brownies when the need arises. After that I usually outsource. aka – buy a fancy-shmancy dessert from the local bakery! Not any more though! 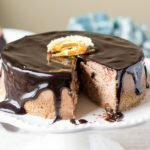 Even I can whip up a festive holiday dessert like this Spicy Chocolate Orange Cheesecake in no time with the help of The Cheesecake Factory At Home Cheesecake Mixes. Their classic cheesecake mix is the perfect blank canvas to play with. 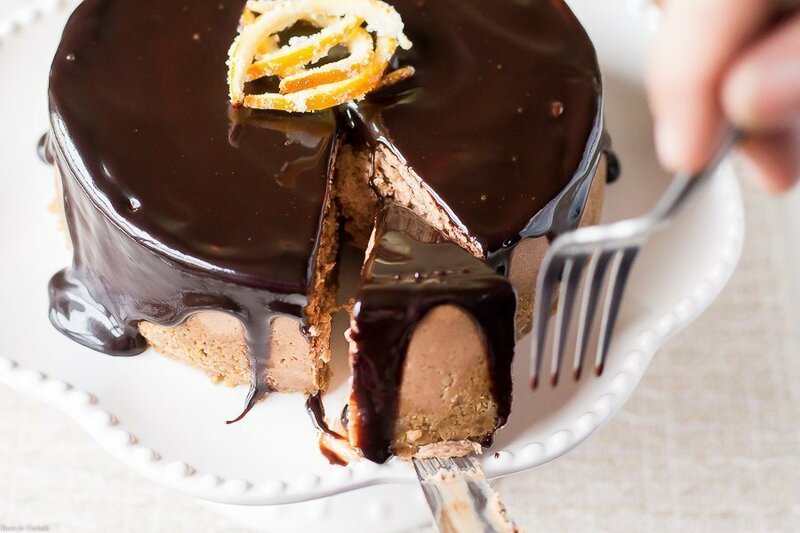 Chocolate covered orange slices are a favorite holiday treat around here so why not create a holiday dessert inspired by that flavor combo. tbh it was either that or a cocktail, which still might happen. 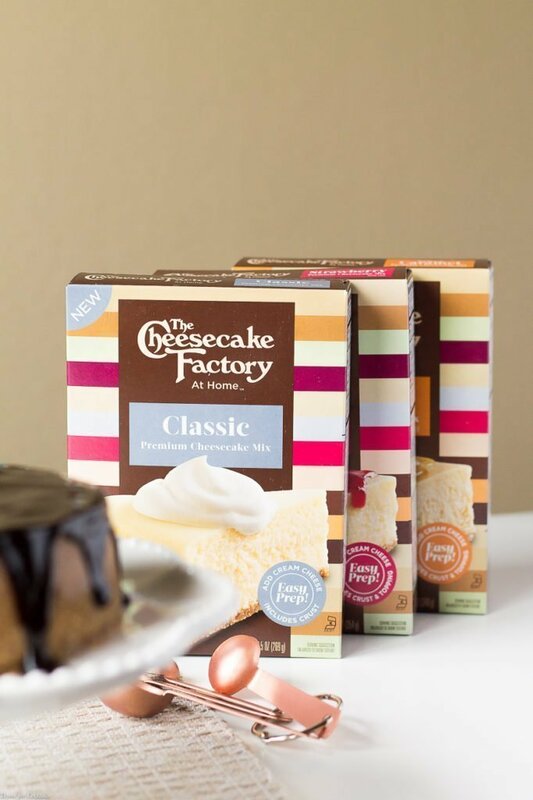 The Cheesecake Factory’s legendary cheesecakes inspired these super convenient boxed mixes. They also come with plenty of chef’s tips to help make the baking experience less intimidating. In addition to classic, they also have strawberry and salted caramel flavors available. Personally I think the best part is customizing these delicious mixes with different toppings and mix-ins. 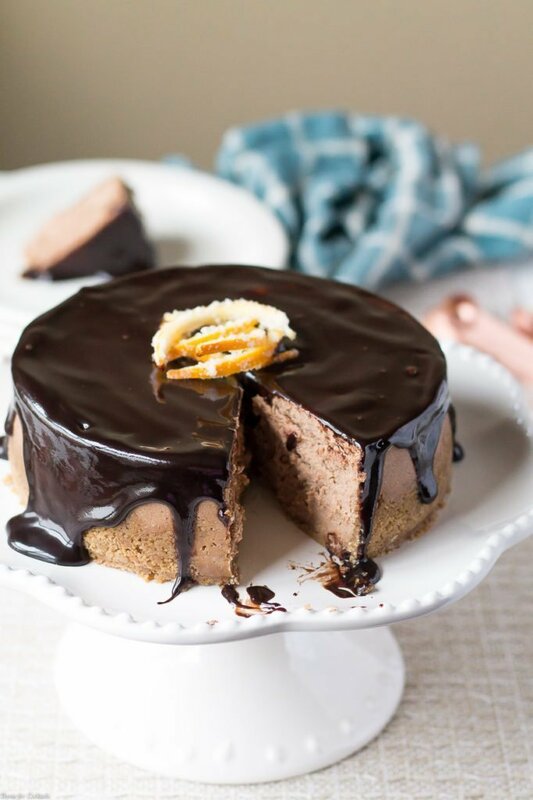 This Spicy Chocolate Orange Cheesecake recipe is perfectly complimented by a drizzle of dark chocolate sauce and candied orange peel. You can buy it from the store or try this DIY recipe I found online. I tried my hand at the homemade version and it wasn’t too tough. Time consuming, but not difficult! Basically it gave me enough time to write this post and scroll my Instagram feed. In a small bowl combine melted butter and crust packet from box. Grease an 8-inch cake pan or spring form pan. Press crust into bottom and halfway up the sides of the pan, set aside. In a large bowl use a hand mixer to combine cream cheese, cheesecake mix, cocoa powder, and spices. Beat on low 1 minute, then on high 1 minute until light and fluffy. Add milk, mix on low for 1 minute. Beat in eggs one at a time until just combined, do not over mix. Pour batter into cake pan. Bake for 45-50 minutes, or until center is just set. Do not over bake, filling will set once cooled. 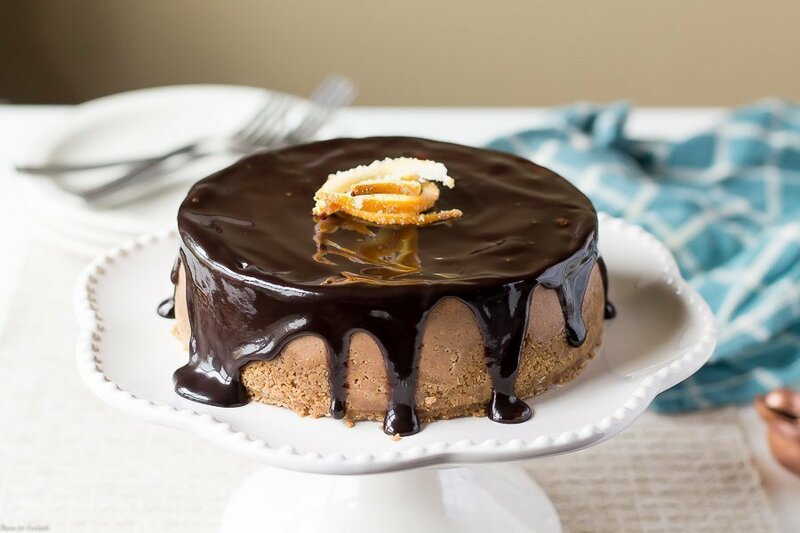 Cool cheesecake to room temperature, then chill for at least one hour or until ready to serve. 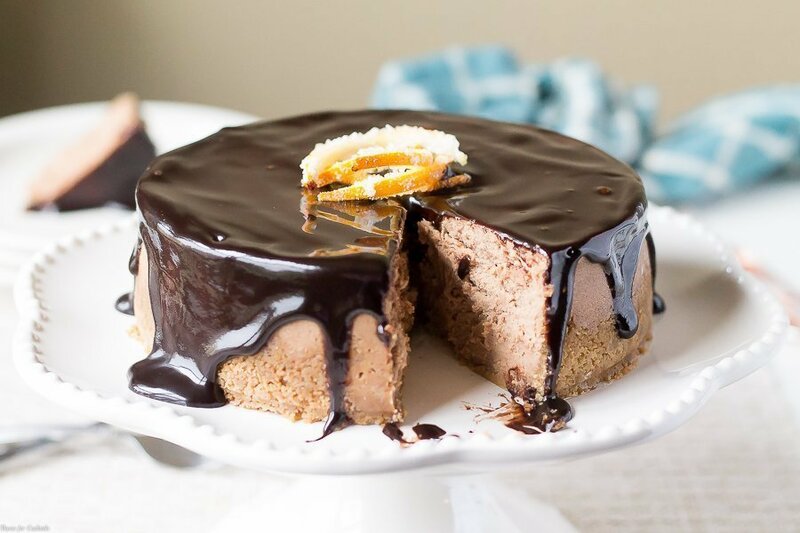 Drizzle with chocolate sauce and garnish with orange peel before serving.